In this case we think that small is an advantage. We have the idea that we can serve our clients better by not having a large staff base, but rather having a large pool of partners that we can choose from. This way we can always find the best person(s) for the clients needs. Larger production companies will be more likely to keep all productions in house to keep their staff busy and getting maximum ROI, and we feel that this will not always benefit the client. The fact that we are small and keep cost down makes MediaUnit a more sustainable company going forward and this is also important to us. Roy has a formal background in electronics and have a Bachelor degree in Broadcast Engineering. 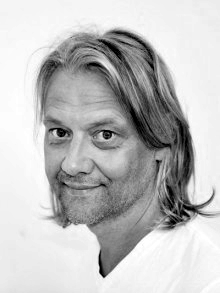 Roy has a long experience from TV2 Norway where he worked from 1992 - 2010. From 2010 - 2013 he delivered content to TV2 Norway in close cooperation with the content department. In addition to producing news and documentary series he has worked a long time as project manager in the content department. He has also been working in advisory panels for various productions during his time at TV2. Roy is our content guy and his main focus is to couple content and technology and to be our project manager on our productions for clients. Oh and CEO too of course! Do not hesitate to contact Roy for any questions and do book a coffee meeting on our contact page. Jan has a formal background in electronics and have a Bachelor degree in Broadcast Engineering. 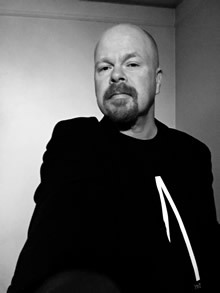 He has been working with live webcast production and technologies since 1998 when he startet Webcast Norge, and later he founded Webcast.no AS. He was the Owner, CEO/CTO of the company until 2012 when the company was sold. Jan has a broad experience base not only from technology, but also from customer relations and have a specially good "nose" for picking up the client needs, and more importantly what they don´t need. Jan is our CTO and do contact Jan for any questions regarding solutions and technology or to just say hi and book a coffee meeting on our contact page.